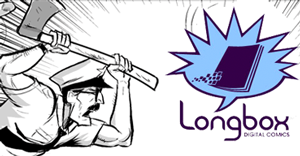 Longbox Digital‘s comics reader beta was unveiled at Emerald City Comicon in March. Is it any good? Tim and Mulele review. Also: hilarious Web comic “Axe Cop“! No user commented in " #230 Longbox and “Axe Cop” "